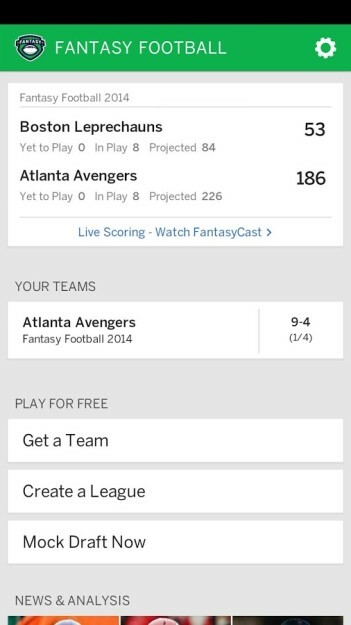 ESPN's Fantasy Football app isn't new to these parts. It's been up and down the gridiron more than once over the years, and it has no problem handling pigskin. But it did need to sit out a few games while its developers cracked out a much needed redesign. The latest app, which has been knocked from version 3.x back down to 1.0, looks like something better fit to play in the KitKat era. The changes go deeper than a clean uniform and fresh warpaint. Some new functionality has made its way into the app. Here's the provided list of features. NEW! Alerts! Get notified of trades, injuries, and scoring updates. NEW! Sign in or register right from the app or use Facebook to login! NEW! 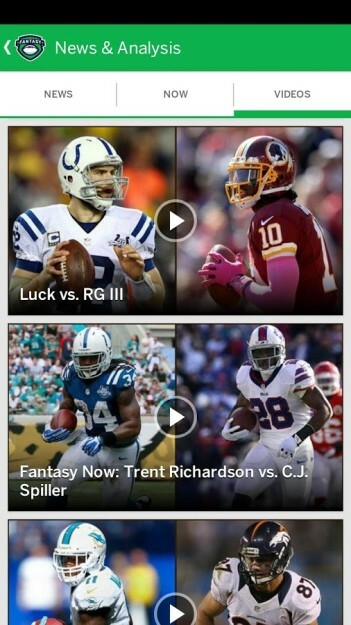 Draft: live auction and snake drafts, including access to our Mock and Live Draft Lobbies. Team and Roster Management: Start/bench players, add, drop, and claim players off waivers, propose, accept or reject trades. 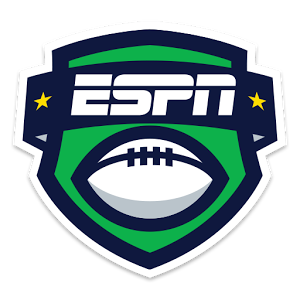 Fantasy News and Videos from ESPN fantasy analysts. 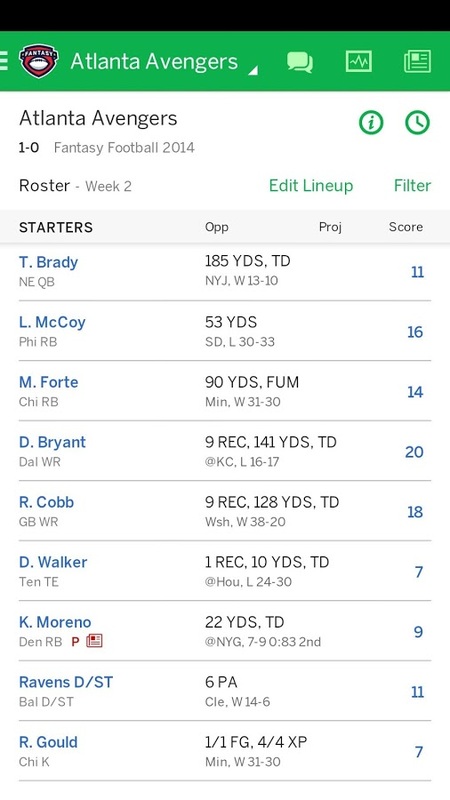 Talk trash to your weekly opponent, or if you’re feeling brave to your entire league. 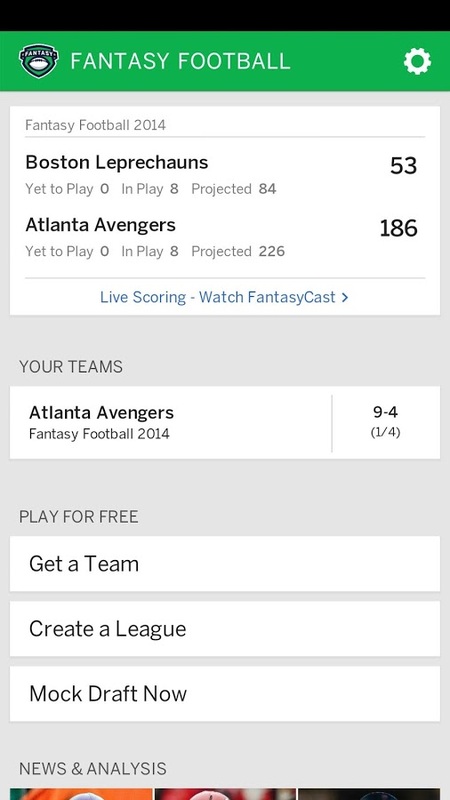 Early user reviews look positive, so fantasy football fans may do well to hit up the widget below.